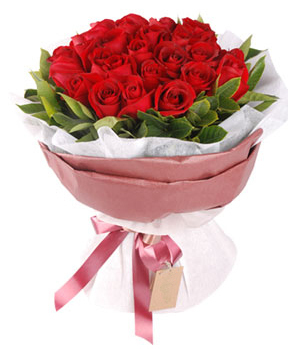 Send flowers, gifts anywhere in China from trusted florists for anytime. Local flower shop Free delivery, same day flowers to China available before 3pm, your satisfaction is guaranteed. We value our customers and strive to ensure their complete satisfaction with every order. 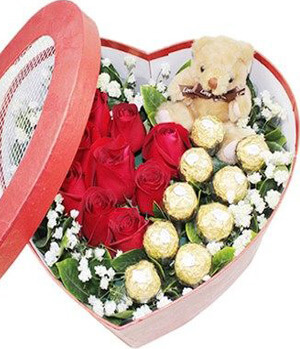 Same day flowers delivery China before 3PM, your order will arrive within 3-6 hours. "I’m in California, USA. This is the second time I have used this company to send my friend flowers in China. There flowers and gift selection are fantastic, good prices. The ordering system is outstanding and so easy to use. They send several notifications by email. Great staff...."
"Excelent service !!! Everything narriving in time and in a beautiful shape, thank you very much !" Welcome to ChinaFlower214, we are the well known source for fresh flower delivery services in China. Our reputation as an industry leader in professional gift delivery services ensures your order will be handled promptly and delivered with care to your destination quickly and conveniently every time. Our professional local florists lovingly create and send flowers to Shanghai, Beijing, Shenzhen, Chengdu and all cities throughout China. Whether you need to say "I love you" in Guangzhou or "I'm sorry" in Tianjin, sending a special bouquet flowers when you can't be there in person is easier than ever thanks to our easy ordering system and your order will arrive within 3-6 hours. We carefully select the flowers in our collections. Flowers are expertly chosen by our florists and are fresh and vibrant and include popular favourites for those holidays such as Saint Valentine's day, Mother's day and Qixi Festival, you will find bouquets specially created to suit these special times. China Flower 214 helps you to send a message of love in the best possible way. When flowers are not suitable or you want to choose something a little different, our delectable cakes and stunning gift baskets are the perfect option. Featuring fruit, chocolates and cute little bears, our gift baskets have something to suit all ages, all tastes and any special occasion. We also offer a fine collection of indoor plants that go giving joy for many years to come. At ChinaFlower214 we have been delivering flowers, joy and happiness across China since 2007. We value our customers and strive to ensure their complete satisfaction with every order. Forgotten an anniversary? Need to say "I miss you" in the most romantic way possible? Come to ChinaFlower214 for complete satisfaction, or your money back. Place your order today and make that special someone happy.